Wristwatches have become somewhat obsolete these days as budget-friendly smartwatches have taken the market by storm. These watches not only tell the time but provide a large bundle of features as well, which makes them very similar to a smartphone device. Moreover, most of them have built-in sensors that help you stay active and healthy by tracking your sleeping and movement progress. Some of them are also touched-enable, waterproof and dust resistant. These features make them an excellent choice compared to the ordinary wristwatches we own today. That means that you don’t need to have your mobile phone 24/7, these smartwatches work just as good as they do! Why should you choose smartwatch over a regular watch? As mentioned, smartwatch has much more functionality compared to the regular wristwatch. In fact, they sometimes get so close to smartphones regarding a feature that they can interchangeably be used! In this modern era, one is not interested in just seeing the time. We need our smartphones with us all the time, so these smartphones allow us to keep all phone functions at bay! Smartwatch help users save time by making processes efficient and easier. It is one of the must-have gadgets for working men and women. This budget-friendly smartwatch has excessive features but a minimalistic look and feel. Not only can this smartwatch display time, but it is also capable of measuring the number of steps and distance covered, that too with accuracy. Not only can this touch-enabled band alert you with notifications of messages and calls received through social media applications, but also alerts you with a slight buzz if you have been sitting idle for long. The Mi Band is not only waterproof, but its cover screen is also resistant against dust and scratches. Another feature of this best budget-friendly watch is the ability to unlock smartphone lock screens, provided you have a smartphone with built-in MIUI, or Android 5.0 or above. Another entry by Mi, the Mi Band 2 falls on second place due to its considerably higher price compared to Mi Band (HRX). The Mi band 2 has loads of features like classic one; besides distance measuring, alarm setting and notification receiving functions, this budget-friendly smartwatch can also monitor the heart rate, as well as provide Bluetooth capability. It is also enclosed in a thermoplastic aluminum container, which protects against sweat and dust. With an outstanding battery life and good device range detection, this best fitness smartwatch is your thing if you have the budget for it. This sleek and stylish smartwatch is packed with all sorts of functions; the most important of all is its timing function, which displays the time (12 and 24-hour format compatible), month and date, along with the current amount of battery life available at the moment. Regarding its fitness feature, I can count some steps taken, calories burnt and distance to a target is achieved (which is displayed in the form of a graph and emoticons). Besides that, it can also monitor sleeping schedules as well as give remainders through its built-in alarm feature. If you are looking for a highly user-friendly, budget-friendly smartwatch, then this is the best second smartwatch to get! The Asus ZenWatch 2 W1501Q Smartwatch looks just like an ordinary watch except for a tweaked smartphone-like the touchscreen on its front. This budget-friendly smartwatch is capable of making and attending calls, voice recognition, giving Bluetooth support as well as a SIM and memory card support! Available with waterproof capability for up to 30 minutes, this smartwatch won’t disappoint you that easily. It also has a metallic buckle that makes the smartwatch look like an ordinary wristwatch. We guarantee you that this budget-friendly smartwatch available with the touch screen feature with being an ideal addition to your wristwatch collection! Working much like a real cell phone, this best cheap smartwatch by Intex is compatible with Bluetooth support. With an HD touchscreen, this smartwatch also supports a SIM card to send and receive SMS and calls. It also supports two modes: the Bluetooth mode, which allows one to send and receive messages through Bluetooth and the Network Mode, which works in the presence of a SIM card just like a real cell phone does. If you are looking for a smartphone like a smartwatch, this is an excellent choice! This affordable, yet handy budget-friendly smartwatch is packed with features such as a water intake reminder, sleep monitor, pedometer and alarming system. What’s more, this stylish watch device has a heart rate monitoring system, gyroscope, light sensor, and an accelerator. Also enabled with a camera, this best budget fitness smartwatch is a good and decent option for all daily activities. The downside is that there is no support for a SIM card through the functionality of a voice call is present. This sweet and best cheap smartwatch has a wide range of functionality and features that make it stand out. While relatively new in the market, this black curve smartwatch has a soft band, making it easier to wear all day long, plus a zinc alloy touch surface. It supports most mobile phone features such as social media usage, music playing, camera, sound recording, browsing, plus call and SMS support. Who needs a smartphone when you’ve got one of these? Another best budget fitness smartwatch by Fastrack, this smartwatch comes in a stylish combo of two colors. Its silicon strip is capable of making you feel comfy all day long with the watch on your wrist. It has all the features that one could ask for; from distance counting to notifications to alarm features, this smartwatch has it all! Besides that, it is also waterproof, so enjoy listening to some music in the rain! Budget-friendly smartwatches the complete package! These budget-friendly smartwatches are the complete package! From affordable prices to the best features that one could imagine, these top 8 picks have it all! These smart watches look like an HD screen wrist watch, but they function much more than that! If you are a young kid whose parents restrict you to get a phone. Or, an office worker who is not allowed to use their smartphones within office premises. Then, these best cheap smartphones are the next best thing for you! 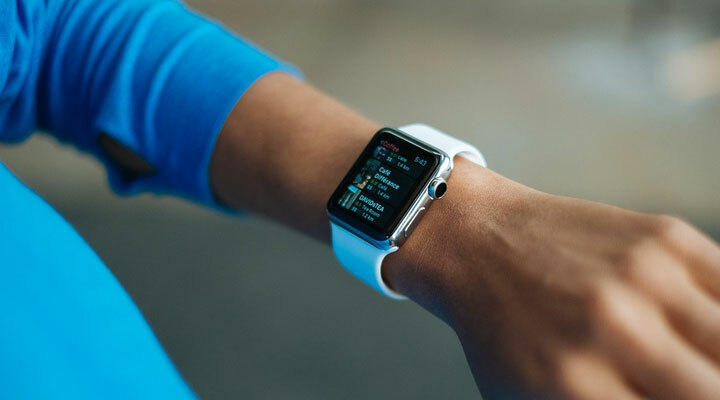 From reminders to alarms to phone notifications to music playing, these smartwatches are multi-featured watches that are the perfect combo of wrist watches and smartphones!